Working Service Dog Blog: Should You Get Emotional Support Dog Certification? Should You Get Emotional Support Dog Certification? Emotional support dogs act as companion animals to thousands of Americans. However, emotional support dogs are not covered by the Americans with Disabilities Act (ADA), as service dogs are. Since they are not recognized in any official capacity, why then do you see so many offers for emotional support dog certification? What exactly is emotional support dog certification, and is it required to bring your emotional support dog with you? We at WorkingServiceDog.com are here to tell you that no, emotional support dog certification is not required, however, you may want it anyway. Is Emotional Support Dog Certification Required? As we said, no—certification for emotional support dogs is not required for you to take your dog with you. Although the Fair Housing Amendments Act (FHAA) and the Air Carrier Access Act (ACAA) recognizes your emotional support dog provides you with much-needed companionship, other areas may not be so accepting. However, having a certificate can make these outings easier for you, no matter where you are. Carrying an official-looking emotional support dog certificate can help you avoid uncomfortable situations and will enable you to travel more freely with your companion. Remember that your emotional support dog is not recognized by the ADA, which means that you must take steps to maintain your own well-being. A certificate can help you achieve that by ensuring your emotional support dog stays by your side. What Is Included With An Emotional Support Dog Certificate? 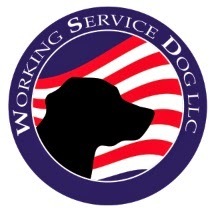 If you choose to purchase emotional support dog certification from WorkingServiceDog.com, you will receive a custom-made certificate featuring your name, your dog's name, the date registered, and your certificate number. The certificate is embossed with a colored seal that says, “Registered Emotional Support Animal.” You’ll also receive a professional “Registered Animal Documents” folder to conveniently carry and identify your paperwork. This purchase also includes a duplicate copy of your certificate. You also have the option to buy an electronic version of your certificate as an added convenience. You can download this version straight to your smartphone so you always have it accessible. Other purchase options include an ESA round collar tag, patch, lanyard, and a 4’ leash. Here is the emotional support dog certification from WorkingServiceDog.com. Emotional support ID cards are also available as an easily portable form of certification. Emotional support dog certification may not be required, but it can be a good idea to have just in case.